Shimogamosaryo is located in one of the most historical and scenic locations in Kyoto. This area, also known as Shimogamo-shrine, is designated as an official UNESCO World Heritage Site. Our refined Japanese restaurant, Shimogamosaryo, which was established in 1856, is set in a traditional Japanese house with a beautiful garden. 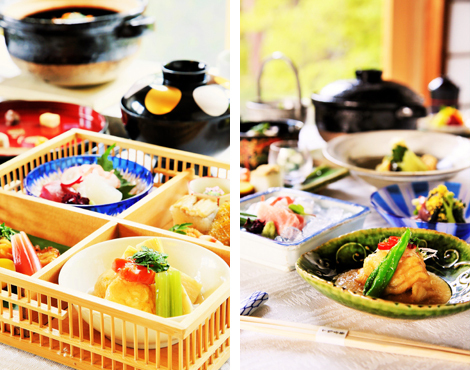 Taste our traditional yet innovative Kyoto style dishes, which are prepared with the inspiration drawn from the changes of the four seasons. ”One time, one encounter” is a cherished belief derived from the spirit of Sado (traditional Japanese tea ceremony) to make your experience here memorable and unique. 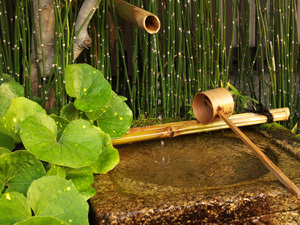 It is our goal to share the beauty and original culture in Kyoto to guests from all over the world. We are looking forward to welcoming you with our hospitality. * The tax is not included. * Ingredients will vary depending on the season and price. * Chair seat is available. 20-minute by taxi from JR Kyoto Station. Please inform us of any dietary preferences or restrictions in advance. Private rooms must be reserved in advance. Copyright © 京都の老舗料亭 下鴨茶寮. All Rights Reserved.